Mr. Foster has over 14 years of transaction experience in the areas of commercial real estate and telecommunications. Since founding Airwave Advisors in 2014, Mr. Foster has added value to over 400 clients ranging from the State of Nevada, multi-billion dollar institutional investors, to non-profits such as Habitat for Humanity. 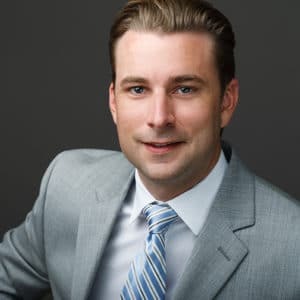 Prior to founding Airwave Advisors in 2014, Mr. Foster founded and led the Cell Site Services Group within nationwide commercial real estate services leader Cassidy Turley (now known as Cushman & Wakefield). At Cassidy Turley, Mr. Foster advised and represented clients ranging from private land owners to pension fund real estate advisors. Mr. Foster acquired telecommunications transaction experience while developing and leasing hundreds of cell towers for a top US wireless carrier (a Fortune 10 company). Prior to joining the telecommunications industry, Nick managed a billion dollar commercial real estate loan portfolio while working with CWCapital in Washington D.C.
Mr. Foster resides with his family in Carlsbad, California. He is highly involved in philanthropy, established the Airwave Advisors Scholarship, and he has helped mentor high school students at the San Diego High School Academy of Finance. He also shares a passion to raise funds to help those affected by multiple sclerosis by donating his time and participating in events annually with the National MS Society. He is married and has three daughters. His recreational interests include traveling, surfing, and scuba diving. Mr. Foster received his B.S. in International Studies from Frostburg State University.